The blog has been little quiet, as has unfortunately been the way this winter. So, what have I been up to? On the tours we spend the nights at huts but being out in the wild gives a good excuse to sleep outside and this week I decided to sleep in a quinzee as the night was expected to be a cold one. 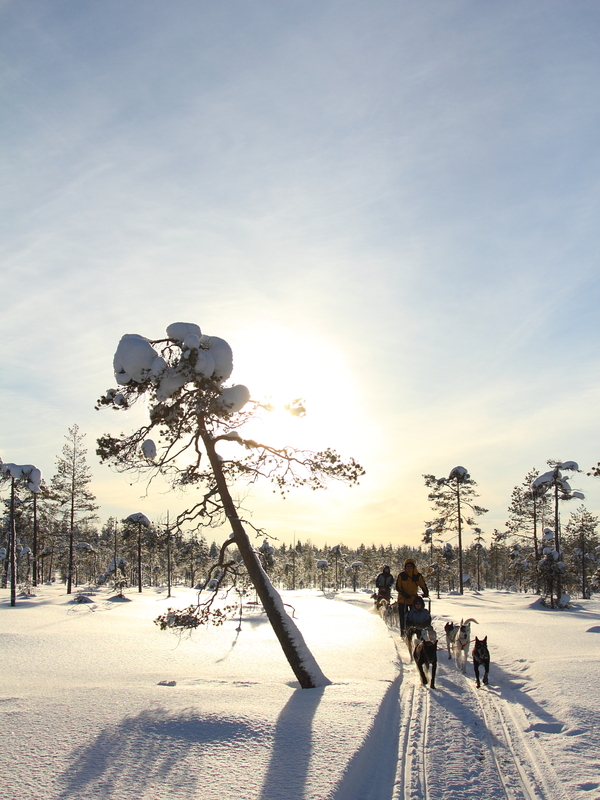 (The record low for this winter was recorded at Taivalkoski at the same week, -38,2C.) I was a little hasty building the quinzee and made the pile little too small and decided to go without the sticks to mark the wall thickness. The end product was livable but little too short with too big doorway and I had to patch one hole in a wall. But it still added apparently quite a lot of warmth as I managed to sleep most of the night comfortably in my sleeping bag rated to -18C (Tlim) and only woke up chilled a few times after 6.00 a.m. 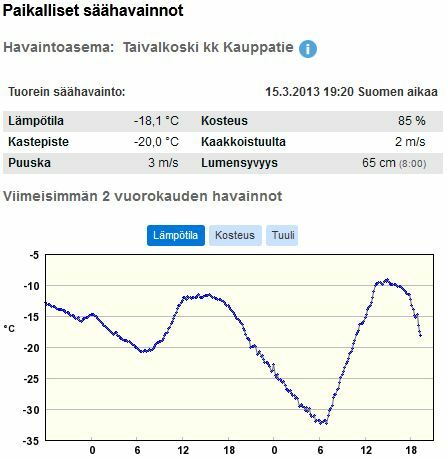 The cabin doesn’t have a thermometer but it’s in a cold place on low-lands next to big marsh so the temperature was likely colder than at the village of Taivalkoski… Snow shelters make sense! And there is still time to make some so don’t miss the chance! The little free time I’ve had, I’ve used for arranging the guided ski tours. 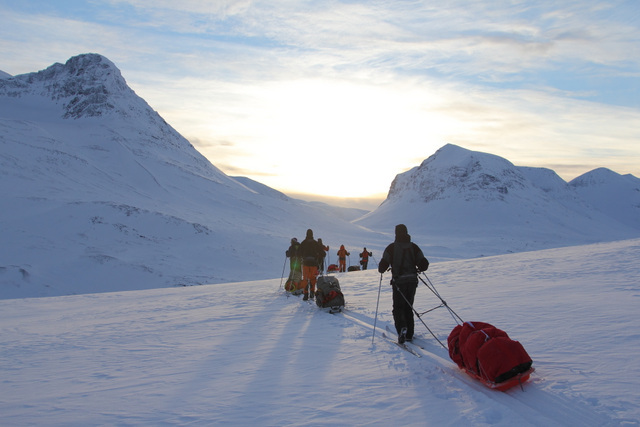 The last week I was guiding a group in Sarek (along the route mapped on Social Hiking, though the distance listed there is little optimistic). We also made snow shelters in Sarek as a training and they were not bad choise as the night was cold. Snow caves are especially nice shelters if you happen to find pile enough pile of hard snow. It was an awesome tour with good group and well worth sitting in the car for 21 hours – each way. Sarek. There’s a feeling of real wilderness. And beatiful mountains as well! 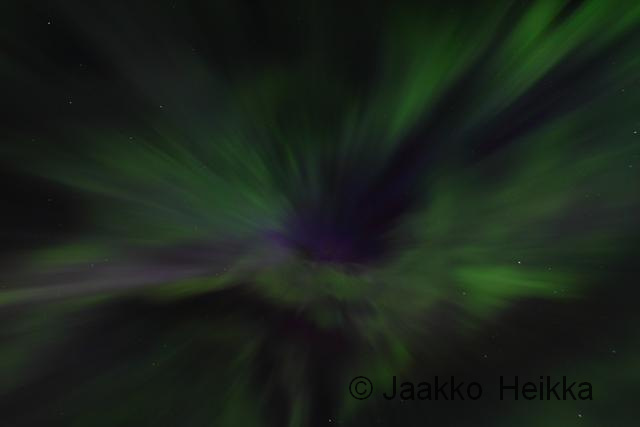 I’ll write a separate post about the tour in Sarek later as this post is about northern lights! 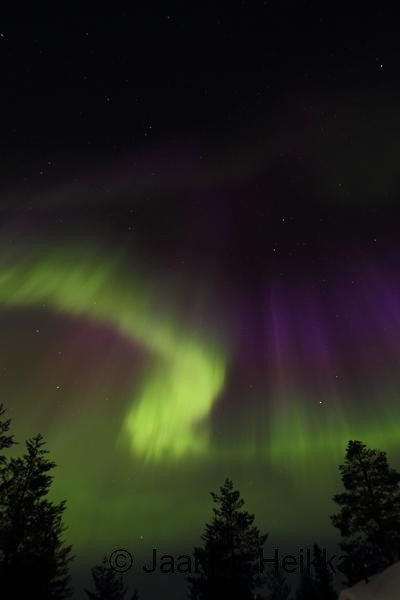 As the winter has been unusually cloudy there hasn’t been much auroras to be seen at Taivalkoski. 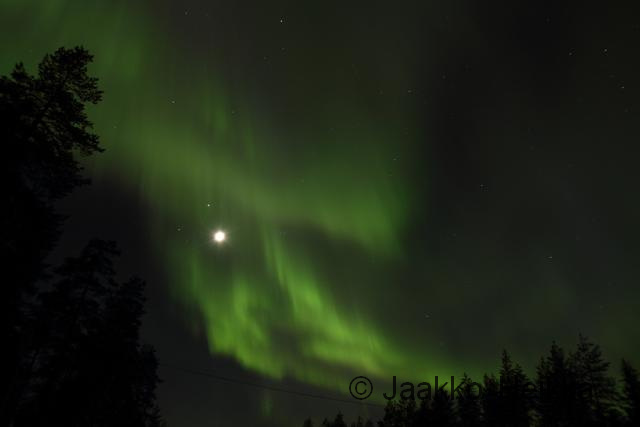 I saw a good show here on early December, little faint lights every now and then here and at lake Inari and nice but little grey light show at Sarek. But this evening was different. 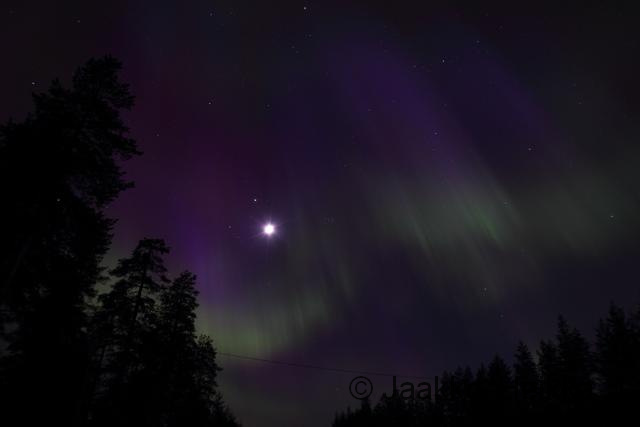 After several cold and cold nights without a trace of the northern lights the lights at the sky were on a big time! Here are some photos of the showon Sunday evening. Hope you enjoy the photos in case you missed the show! On the weekend we also had the pre-expedition meeting with the Vantajökull 2013 expedition and I can’t wait to get on the ice for with the group as it’s likely to be a great little expedition… But before that I still have some weeks of husky safari guiding to be done, including two nice longer tours. I’ll try to get some nice photos to share from the tours. 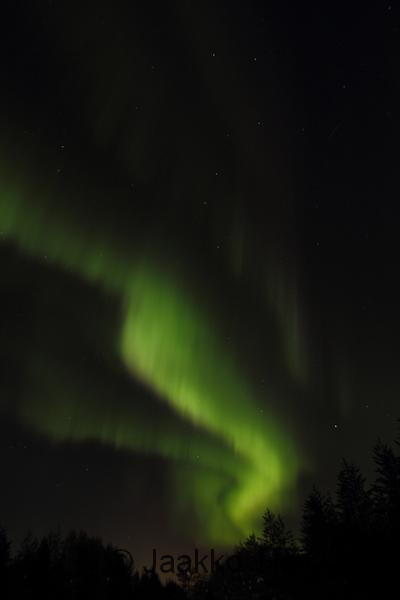 Like the northern lights photos too! It is fun, and useful skill and technique for winter outdoor safety and travel. 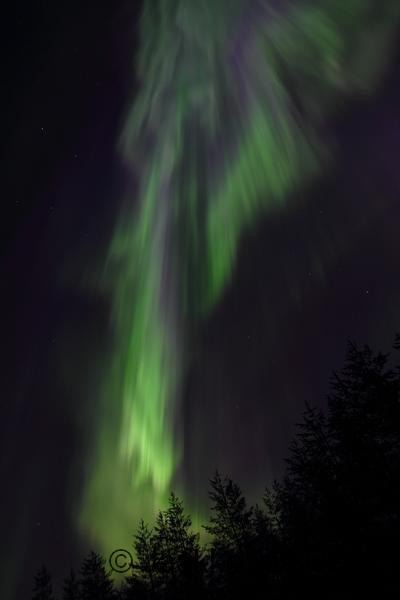 Spectacular aurora photos. So glad I found this blog. The quenzhee is very interesting. Hope it is ok to reblog?